After an idyllic childhood growing up in Enosburg Falls, Vermont and an outstanding collegiate career at the University of Vermont, Larry Gardner became one of the great third basemen in Boston Red Sox history, winning three World Championships in the process. It was his sacrifice fly off of Christy Matthewson in the eighth and final game of the 1912 Fall Classic that won the title for Boston. 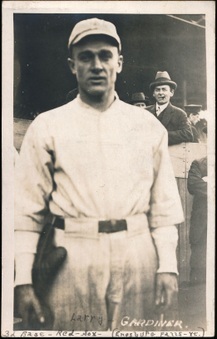 Gardner spent all or parts of ten seasons as a Red Sox and started at the hot corner for seven of them, from 1911 through 1917. 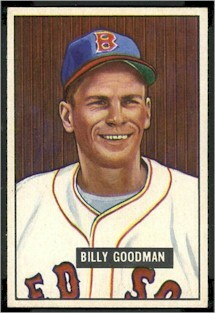 He was a solid hitter, averaging .289 during his 17-year big league career and a very good defensive third baseman. He was also a talented tenor, who became part of the famous Red Sox Barbershop Quartet, that sang professionally during the pre WWI years. When his average went from .308 in 1916 to .265 the following season, the Red Sox front office traded him to the A’s. A season later he was dealt to Cleveland and during his second year with the Tribe, his .310 average and 118 RBI’s led the Indians to their first World Series victory and Gardner’s fourth. He then had his best big league season in 1921, averaging a career high .319 and driving in 120 runs. By then, however, he was 35 years old and slowing down accordingly. He hung on with Cleveland until 1924 and then tried managing in the minors. He wold eventually return to his home state and become the long-time baseball coach and then athletic director of his beloved alma mater. Gardner held the all-time record for most starts at third base by a Red Sox until Frank Malzone surpassed him. Wade Boggs is the current record holder. Gardner died in 1986 at the age of 89. After spending his first seven big-league seasons as a decent-hitting National League infielder, mostly with the Giants, this Missouri native was signed as a free agent by the Red Sox in January of 2003 and became the team’s starting third baseman. He then shocked all of Red Sox Nation by winning the AL batting title during his first season in Boston and setting career highs with 171 hits, 19 home runs and 85 RBIs. Those numbers sagged quite a bit during Boston’s World Championship 2004 season as he battled injuries and he began to lose playing time at third to rookie Kevin Youkilis. 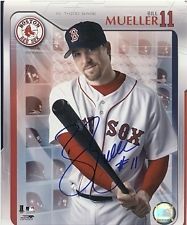 The switch-hitting Mueller then rebounded during that year’s postseason, leading all Red Sox hitters with a .429 batting average in the team’s four-game sweep of the Cardinals. During his final season in Beantown, Mueller hit well but his fielding, which had always been no better than average got much worse at the hot corner. He was 34 years-old, his contract was up and Boston’s front office decided to let him walk. It was the right decision. He ended up signing a two-year deal for just under $10 million with the Dodgers and then hurting his knee and playing just 32 games for LA before retiring. He remains the only big leaguer in history to hit grand slams from each side of the plate in the same game. The “Greek God of Walks” will be laying off bad pitches in the “Land of the Rising Sun” in 2014 after signing a one-year-deal with the Rakuten Golden Eagles in the Japan Pacific League. Rakuten fans will be desperate to find something new to cheer about after their team’s long-time ace pitcher, Masahiro Tanaka took the reverse route of Youkilis and signed with the Yankees. Its been less than two years since Youkilis walked off the Fenway infield and into the home dugout for the last time, after hitting a triple in the seventh inning in a late June intra-league contest against the Atlanta Braves. He had just been traded to the White Sox and fans in attendance that day, surmising “Youk” had been dealt, gave him a great send-off ovation. At the time, he was not getting along with new Boston skipper, Bobby Valentine and had pretty much lost the starting third baseman’s job to rookie Will Middlebrooks. Thus ended a great 9-season run in Beantown, during which the native of Cincinnati won two Rings, a Gold Glove and was named to three All Star teams. The Youkilis that was leaving Boston however, was not the same player who had topped the .300 mark in batting average three years in a row as a Red Sox. He had serious back problems that hindered his play with Chicago and pretty much wiped out his 2013 season with the Yankees, limiting him to a total of 28 games. Though he’s heading to the far east in 2014, Major League baseball fans may see more of Youkilis in the future. He recently told reporters he had not ruled out returning after his year in Japan is up.